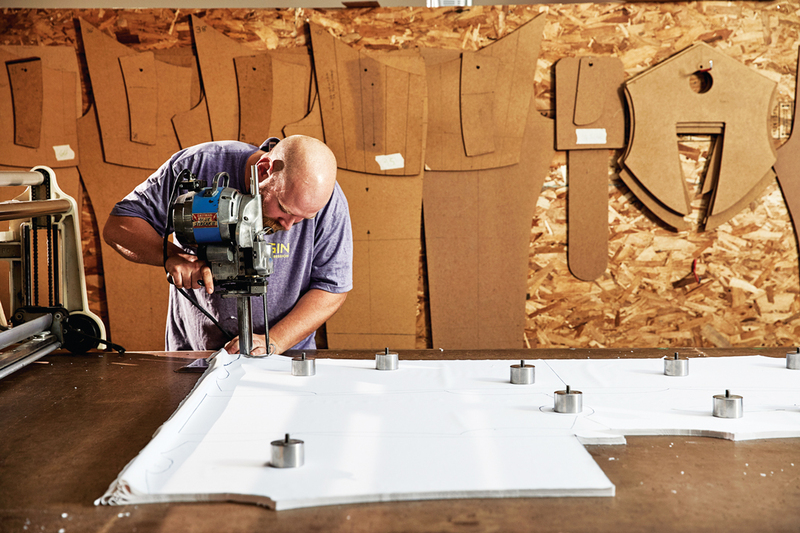 Staff at OriginUSA trace garment patterns and cut fabric to be sewn together into finished gis. In the woods outside Farmington, a martial-arts champ built a hobby into a lifestyle into a factory. When the Crown Prince of Abu Dhabi invited him to compete in the world’s largest jiu-jitsu competition in 2012, Pete Roberts had no idea the invite would turn him into a garment manufacturer. 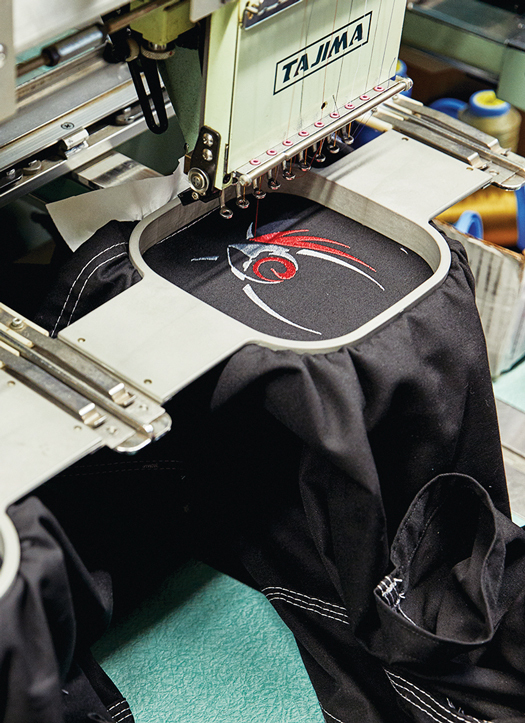 OriginUSA founder Pete Roberts came to apparel from a background in design and new media. But let’s back up. Long before he was thrashing competitors on jiu-jitsu mats abroad, Roberts was just another 6-foot, 215-pound rural Maine teen playing tight end for the Mt. Blue High School Cougars. He went to UMaine on a football scholarship in 1997, but after two seasons as a Black Bear, his fondness for the sport faded, and he eventually left both football and college to start a marketing and design company back in Farmington. His small company, Insyt New Media, reeled in big-fish clients like Rossignol and Quiksilver, but the many hours parked in front of a computer left Roberts missing the physicality of the gridiron. He’d long been intrigued by martial arts, so he found a studio in Bangor offering tae kwon do classes. It turned out to be a sort of gateway drug. Roberts dabbled briefly in tae kwon do before discovering his real fix: the grappling sport of Brazilian jiu-jitsu. Protective sheets are applied to fabric before a dye sublimation process that transfers ink onto cloth. doesn’t matter if you’re a former tight end or a nightclub bouncer or can bench twice your weight. Roberts poured himself into jiu-jitsu and started winning tournaments all across North America. When his branding company hit the skids during the recession, he opted to make a career out of his hobby. In 2010, he launched a jiu-jitsu–focused website (it now boasts a mailing list with more than 15,000 subscribers), and soon after, he set his sights on reinventing the gi. A big guy, Roberts had always felt constrained by his sport’s traditional combat uniform, the design of which hadn’t been tinkered with in more than 20 years. So he put his design skills to use, sketching a gi with features like joint reinforcements for added mobility and additional fabric panels for better fit. He outsourced manufacturing to a company in Pakistan, which executed Roberts’ designs and sewed on labels with the name of his new brand: Origin. In 2012, Roberts’ tournament victories earned him an invite to the World Professional Jiu-Jitsu Cup in Abu Dhabi. It was there he noticed a fighter wearing a familiar-looking gi: one of his, but without the Origin label. His manufacturer, he realized, was slapping its own logo on his design and selling the imposter gis in Europe. Roberts and a partner, Jon Milan, put up a timber-frame building near Roberts’ home in Industry, northeast of Farmington. They gave themselves a crash course in textile manufacturing and started tracking down owners of old mills, looking for someone willing to sell machinery. Eventually, they rescued and refurbished a factory’s worth of equipment. In Origin’s first year, it took Roberts and Milan a full week to make just five custom-ordered gis. But as word spread among jiu-jitsu grapplers, business picked up, and Origin slowly assembled a staff. We are resurrecting manufacturing in a place where it once thrived. In 2014, Origin started weaving its own fabric using raw cotton from Tennessee, and to commemorate its full-on “Made in America” status, Roberts rebranded the company as OriginUSA. 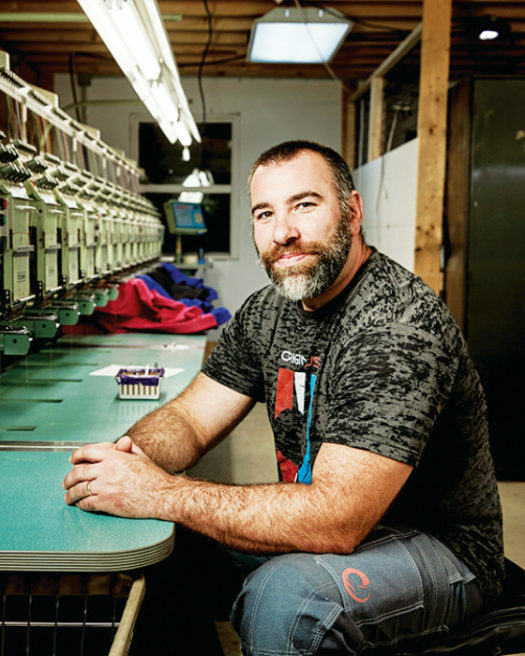 Today, his scrappy factory in the woods turns out 80 units a day — not all of them gis, as the 20-person staff now makes sweatshirts, duffels, and even strength-training tools filled with scraps of material from the factory. Roberts sells some 3,000 gis a year and hopes to double that number in 2017. 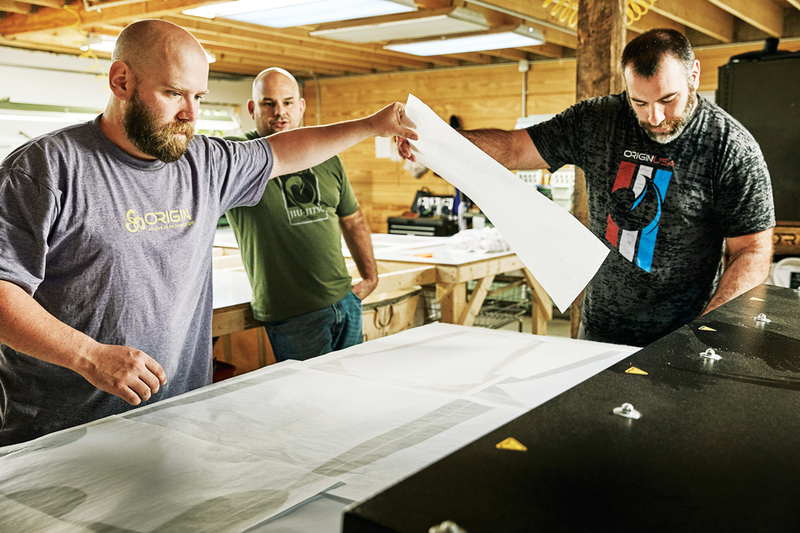 He wants to model OriginUSA after “the Burton of the ’70s” — like the once niche-y snowboard manufacturer, he hopes to pivot from a specialty shop into a company known more broadly for athletic wear and gear. 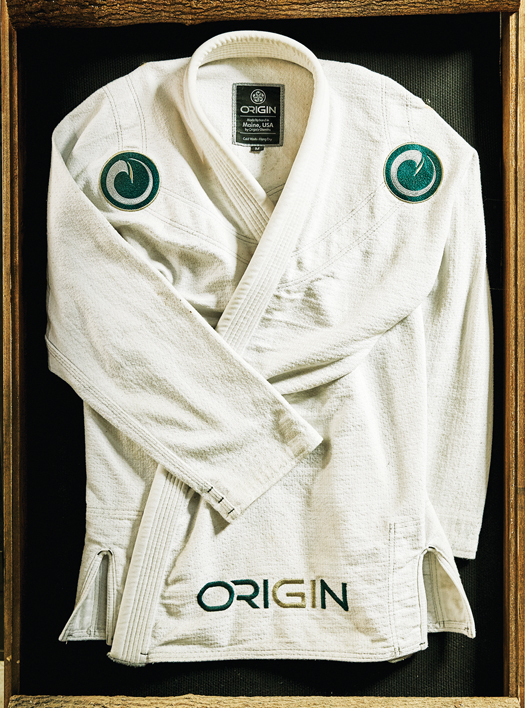 Because even though a respected five-time judo Olympian recently requested OriginUSA gis to outfit his students, Roberts says the company mission is about more than just conquering the martial-arts apparel market. 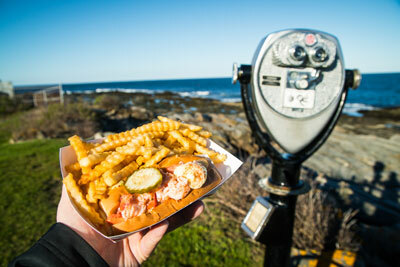 Amber Kapiloff lives in the mountains of western Maine, where she writes a column for the Franklin County Daily Bulldog.